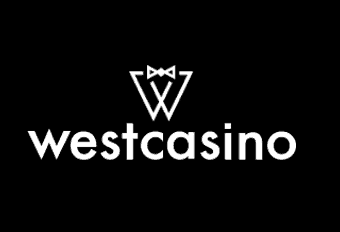 Welcome to our WestCasino Casino Review where we explore the details behind our WestCasino Ratings 2018. Like many online casinos, WestCasino is based in Malta. It is owned by EveryMatrix Ltd. This site was established in February 2018, so is a complete newbie to the online casino world – but it is licensed by the Malta Gaming Authority and the United Kingdom Gambling Commission. The UKGC has stringent regulation, which suggests that the site operates at a high level of security and customer experience. Even though WestCasino is new, and this makes it difficult to offer WestCasino Ratings 2018 for experience, we should trust the stringent regulations that the Malta Gambling Commission lay out. Also, the sister sites offered by EveryMatrix seem to have a decent reputation for customer service. However, it is a good idea to do a search of customer reviews before trusting your cash to the site. There is a decent FAQ section on the site and there is live chat and a phone number, all the standard requirements for an online casino site, though nothing special to shout about in this WestCasino Casino Review. In terms of deposit and withdrawal, WestCasino faced early criticisms for the lack of choice payment methods. They have since resolved this and then some – there are more types of deposit methods than most site, including most eWallets, as well as cards and bank transfer. This gives you the opportunity to select a cashier option that allows for prompt withdrawal. The weekly limit is also impressive, and a reason why serious gamblers would want to try the site. All in all, there is a lot to praise this site for and our WestCasino Rating 2018 will only improve with time and more experience of what this site offers. The interface is clean and clear, with a simple blue and grey palette and the use of a cartoon figure to act as your host around the site. He looks like something dropped out of the sixties, with his garish clothes and gold watch. It is quirky but characterful and something that helps the stand out as a brand in amongst a crowded market. The navigation is simple and intuitive – and gets a thumbs up in this WestCasino Casino Review. A downside is how slow the site can be to render – with the colours taking some time to become bold enough to read. The mobile site is responsive, and it provides a number of NetEnt games that play well on a mobile device. There is no dedicated app and not all the site is accessible on a tablet or phone, this will be disappointing for most who like to bet on the go. This has to factor heavily in our WestCasino Casino Review. Our most important WestCasino Ratings 2018 are for variety and quality of game offered by the site – this is the core business of an online casino and should therefore dominate a WestCasino Casino review. Impressively, there are almost 600 games on the site and these are all from top quality software developers such as NetEnt, Play ‘n Go and Pragmatic Play to name just a few. There are the most popular games that you would hope to find, such as Starburst, Knockout Football, Twin Spin, Gonzo’s Quest, and more. There are a massive selection of video poker table games and progressive jackpots. The site is aimed at a mixture of games some aimed at the seasoned player and some aimed at those looking for a bit of fun. This means we had no problem in offering the highest scores in our WestCasino Ratings 2018 for variety and quality. A WestCasino Casino Review should be influenced by the welcome bonus. The casino compares well with other online sites. They offer new customers £400 and 150 free spins. The first time you deposit on the site you will get 100% matched bonus up to £100. The second time you receive aa 50% match bonus up to £200 and the third time it is 50% up to £100. There is also a whole load of spins on the Guns n Roses slot. This is a generous offer – comparable with some of the bigger casinos – so it gives a boost to the WestCasino ratings 2018. There is also the West Loyalty Program, which has tailored promotions and rewards to suit your needs. There are exclusive offers and VIP gifts – plus cashback deals. You need a personal invitation to become a VIP and this can be gained by collecting points by playing. We also like the birthday bonus given to all players – this is a nice touch. WestCasino is a brand new site and therefore it is impressive what they have achieved in such a short time – the WestCasino Ratings 2018 are high. This is a result of the huge number of games available – and some of the most popular – but also because they offer slots, table games, live games, poker and more. The welcome bonus is generous, and they have a VIP program in place. All the fundamentals of a great site are there. There are some problems, such as the smooth loading of the site and the lack of a dedicated mobile app. However, as a starting point WestCasino have made an impressive beginning in a crowded sector. Why is Starburst the most popular slot game out there? Why online casinos are better than offline casinos?